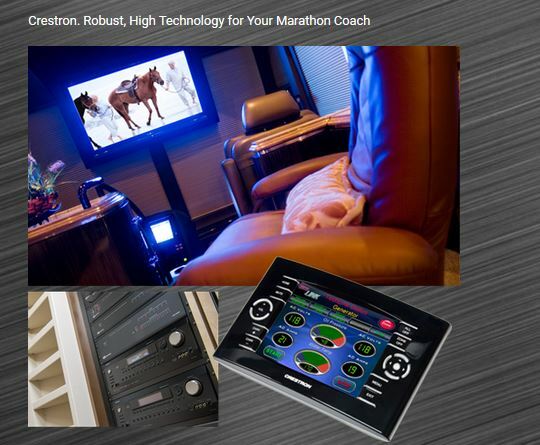 Why did Marathon choose Crestron as the central “brain” of a Marathon Coach? Because Crestron does more than connect devices such as audio/video or lights, it integrates all of your devices into one seamless command center. Plus, this system will be relevant, reliable and functional as long as you need it, be it two years or 2 million miles. Unlike many systems that are designed to become obsolete, Crestron was created to serve for the life of the coach. Don’t let the iPad/iPhone integration fool you; not all systems are created equal. Crestron simply applies these tools to create one more access point for you to drive this highly customizable system. Our clients expect the best and that’s what we strive to provide. Other products on the market are limited by how fine of detail they can program into one button. “There’s a certain amount of limitations to the amount of programming, the preciseness of the programming, on what it can perform and what it can do on those other systems,” said Dolby. 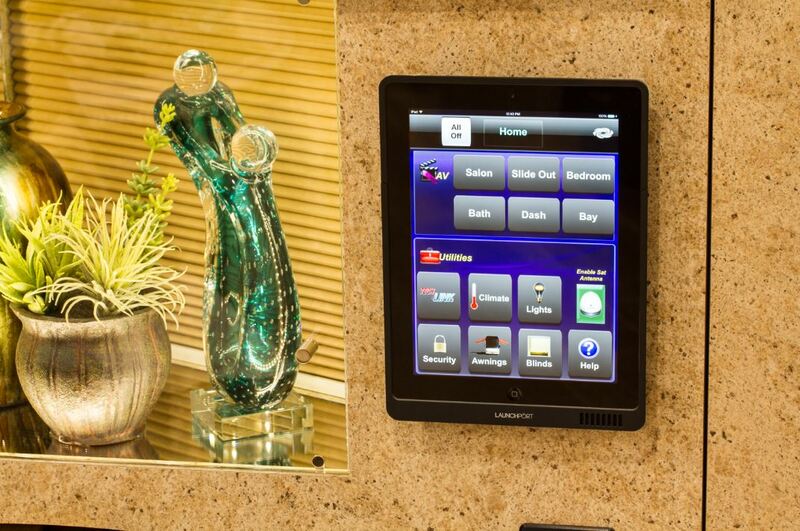 The Crestron system allows nearly any electronic devise to be incorporated and controlled from the one touch pad. When your system and devices go beyond connections to true communication, you’re free to create your ideal environment. This unrestrictive programming ability also allows us to make multiple events happen in sequence from the push of one button. With a single touch from your mobile app, touch screen or key pad, you can prepare your coach for movie night, high-end entertaining or bedtime. No other system provides as much ease of use and convenience. In short, we’re not limited by equipment, only our imagination. All you need is the popcorn, because your “theater button” takes care of the details. Imagine enjoying an afternoon relaxing on your coach’s recliner, posting photos of your trip on Facebook and responding to a few emails. With the emails answered, it would be nice to watch that new movie you rented. But instead of reaching for your remote you simply switch to your Marathon Coach app on your iPad and touch the theater button. The blinds go down, the lights dim, the TV comes on and your movie spins in the Blu-ray player. And now it’s time to relax.